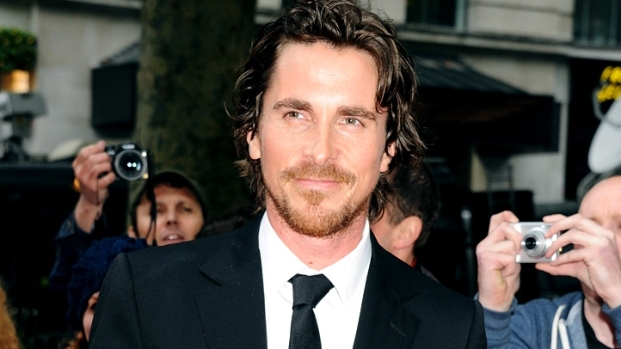 Batman star Christian Bale arrived in Colorado Tuesday to visit victims of the "Dark Knight Rises" movie theater massacre. Bale met with seven patients at the Medical Center of Aurora, who were injured in last week's mass shooting that killed 12 and injured 58, the Denver Post reported. "It was good for the patients," Bill Coloch, interim president of the medical center told the Post. "We hope it was therapeutic for them, and all the staff really appreciated him coming." Bale, who was with his wife Sibi Blazic, also visited Gov. John Hickenlooper, Aurora police officers and first responders. He visited a makeshift memorial to the victims near the theater and walked past the 12 crosses erected for each of the slain victims, with many people there not realizing who he was. Christian Bale chats at the New York City premiere of "The Dark Knight Rises" about whether he felt extra pressure while playing the caped crusader. Plus, he dishes on his favorite memory during filming. Warner Bros. spokeswoman told The Denver Post on Tuesday that Bale is representing himself, not the movie studio. Wisconsin native Carey Rottman, one of the 58 people injured in Friday's shooting, posted two photos of himself with Bale on his Facebook page after the actor's visit Tuesday. Hospital staff also posted a Facebook photo of Bale with some staff members. Shortly after the shooting, Bale said in a statement that "words cannot express the horror that I feel. I cannot begin to truly understand the pain and grie of the victims and their loved ones, but my heart goes out to them." 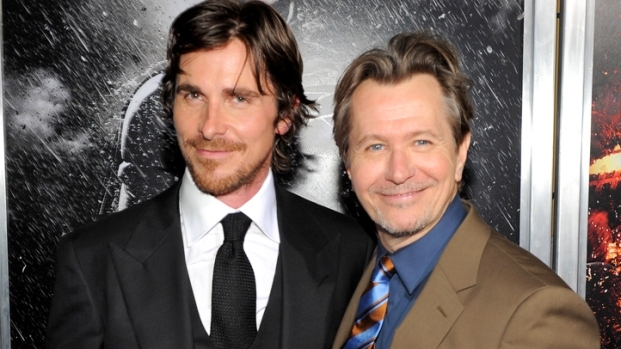 Gary Oldman chats at the New York City premiere of "The Dark Knight Rises" about whether there was pressure to make this movie the best out of the three Christopher Nolan-directed Batman movies. Plus, he dishes on if the movie purposely incorporated themes from the Occupy Wall Street movement. 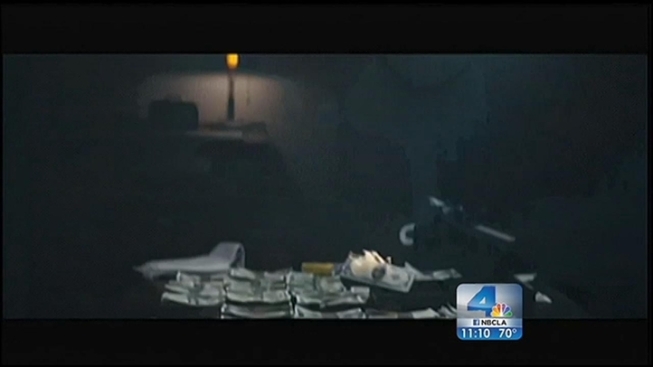 There had been an online campaign urging Bale to visit survivors of the shooting. President Barack Obama and members of the Denver Broncos also have made hospital visits to some of the survivors.